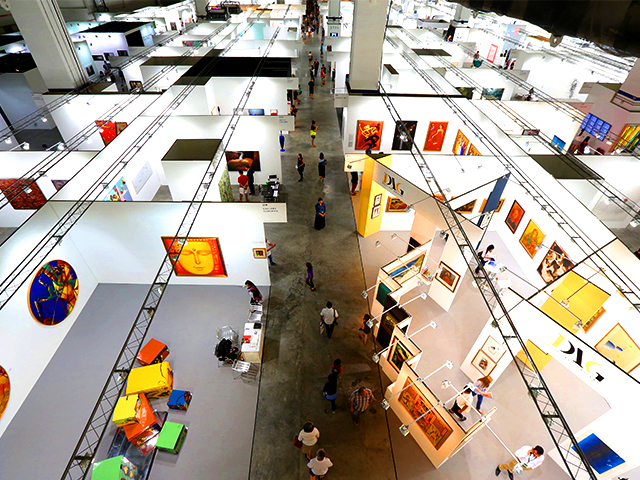 At Art Stage in Singapore, the largest art show in Southeast Asia and the definitive meeting point between the diverse regional and global art scenes, Aditus unveiled its new access platform for the luxury market, Aditus Pay. Built with the revolutionary technology of blockchain as its foundation, it is the world’s first such platform for the luxury market. Designed for crypto-users for sales and purchase, it is still a decentralised platform, however, staying true to the vision of crypto-currency. Aditus Pay enabled visitors at Art Stage to purchase artworks on display using Aditus (ADI) tokens, among other cryptocurrencies. All that users needed to do was download the app, log into an account, and start buying! In fact, four paintings were sold at Art Stage using Aditus Pay—probably the first works of art in history to be purchased with cryptocurrency. Although Aditus Pay has so far been marketed as a way of buying art, Aditus has much wider aims. They hope to become the cryptocurrency platform for the entire luxury market. Aditus is catering to the latest group of people entering the luxury market. They are called the ‘crypto affluents’, a new class of people buoyed to wealth by rising cryptocurrency values. Many of them hope to live the luxury lifestyle, but with most of their wealth in the form of cryptocurrency, they find themselves excluded from the conventional markets for the trappings of luxury. As one would expect, the explosion in cryptocurrency has led to a surge of demand for art and other luxury goods among people who use cryptocurrency. Since art is a fine way to convert one’s cryptocurrency into a hard asset, one which should appreciate reasonably well. Besides which, there is nothing quite like a tasteful piece of art in a home. More than a mere status symbol, each unique piece of art is a glimpse into the character of its owner, and often a piece of history in its own right. However, until now there simply has not been a platform for buyers or sellers to use for this purpose. Aditus saw this—that many cryptocurrency users were not being well served by the market for fine art or any luxury good for that matter. They saw an opportunity to build a bridge between two largely insular communities, the luxury consumer market and the world of cryptocurrency. And a brilliant move it was, too. Luxury merchants are among the most traditional of companies, and are used to traditional marketing. Since too many of these companies have no way to easily reach out to crypto-affluents, Aditus has paved the way for them. In the app, users receive customised offers directly from merchants pre-purchase, and they are directly rewarded for engagement with merchants. This, Aditus eliminates the need for a centralised third party marketer, thus ensuring data privacy. It is an elegant solution, at least in theory, and so far seems to be working in practice. And for merchants too, Aditus has features which make it more appealing to those who are still sceptical of cryptocurrency. Users of Aditus of course pay in cryptocurrencies but merchants can receive payments in either crypto-currencies or fiat currency, and payment can be held until after the fulfilment of service. The other brilliant aspect of Aditus was recognising that the crypto-affluents and luxury art dealers usually have diametrically opposed aims. Whereas crypto-affluents value data privacy immensely, luxury merchants often want as much data as possible on potential clientele to target their market and to create personalised offers. Aditus, recognising this conflict, seems to have crafted a crypto-platform which should satisfy both ends of the transaction, allowing art dealers to reach out to interested buyers while enabling cryptocurrency users to remain anonymous. ArgentOr Silver makes tea time a fancy affair!